In the autumn of 2017, Pat was asked to consider a commission for two large leaded windows. Our would be clients were interested in a design developed from the house martins that inhabited the area outside where the windows were to go. 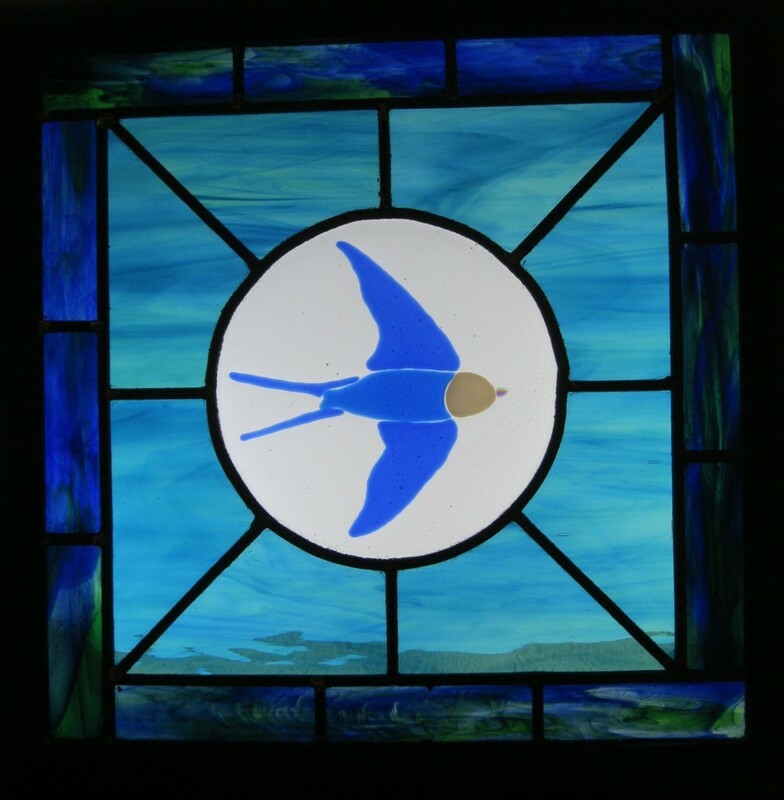 In the end the commission went elsewhere, but in thinking about how to tackle the commission, if won, he decided he would have captured the House Martin in fused glass and then incorporated that fused glass piece into a leaded panel. Despite losing the competition, he decided to make a small panel as an experiment. Here is the result.